Welcome Jason Nachowicz to the E26 Team! “Why did you join the military?” It all began because I wanted to prove something. I wanted to prove to others I had what it took. I wanted to prove to myself I could be a part of the best. I wanted to prove to all the doubters that I was more than they said I was. I was already a perfectionist before I joined and stubbornly determined in anything I started, so this mindset served me well to crush myself daily. From airborne school, to Armor officer training, to a 15-month deployment near Mosul, Iraq, Ranger School, and preparation to command 120 Soldiers on a deployment to Afghanistan, it felt like non-stop abuse pounding on the body. And rightfully so. I didn’t take my job lightly. I owed it to those I fought beside, I owed it to my country, and I owed it to myself as proof I had what it took. Ruck marches long enough to make the ungroomed Soldier’s feet bleed through his boots, ruck runs in 45+ pounds of kit that would instantly cause the unprepared Soldier to cramp and collapse in a heap to the side of the road, obstacle courses that had potential to shred not just uniforms but flesh as well, daily physical training at 6am where we’d do more push-ups in 1.5 hours than the average civilian would do in a year, and additional gym time in the afternoon for the “standard” CrossFit workout. These were just samplings of the physical fitness doses we could choose from to punish ourselves in preparation for what could come. Sustaining this pace and mindset, however, is where I ran into problems. How do you fuel and recover to train like this day after day, only sleeping a few hours each night? Eventually the injuries will begin and only compound unless properly treated – but that would have required a change in mindset I wasn’t ready to accept. Instead, I started each day popping the Mobic and Flexeril (on bad days, really bad weeks, the Tramadol would replace the Mobic), gulping down C4 or No-xplode, and sustaining through the day with coffee. For an afternoon snack, perhaps more Ibuprofen or Mobic to cut the pain. On the surface I was going “further, faster, and fighting harder” than others around me, but inside I was breaking down at a rapid pace. 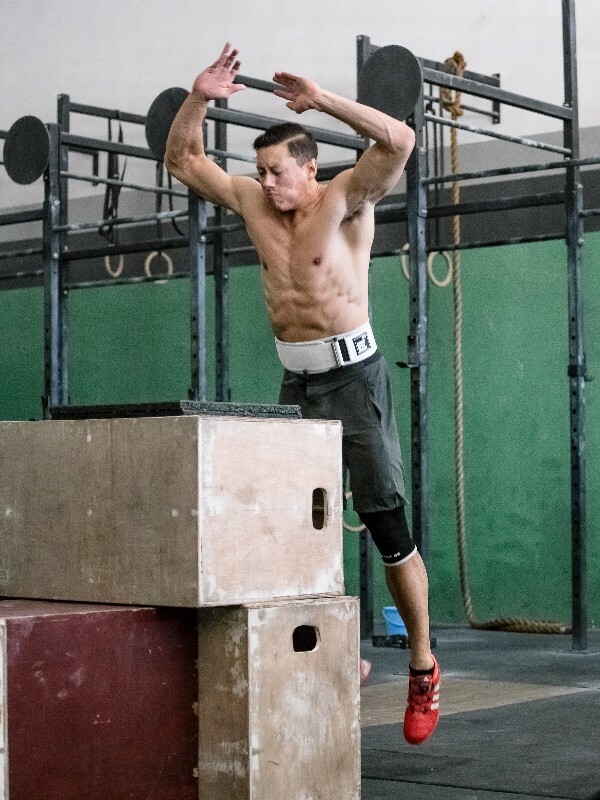 SLAP tears and labrum tears in the shoulders, cortisone shots in the knees, plantar faciaitis, chronic back and neck pain along with stenosis in the L3-5, tendonitis in the elbows, and the kicker – a testosterone level of 173. I’m now even diagnosed with kidney problems, no wonder given the amount of medication I was taking, all to sustain an unhealthy mindset. The impact my mindset had on my marriage was also detrimental but is a story for another time. After 9.5 years of active duty it was time to leave and start a new life where I was determined to live for longevity, more fully, more healthy in every dimension. In 2015, I exited the military and started pursuits to help individuals live “life to the full” – physically, emotionally, spiritually, and relationally. 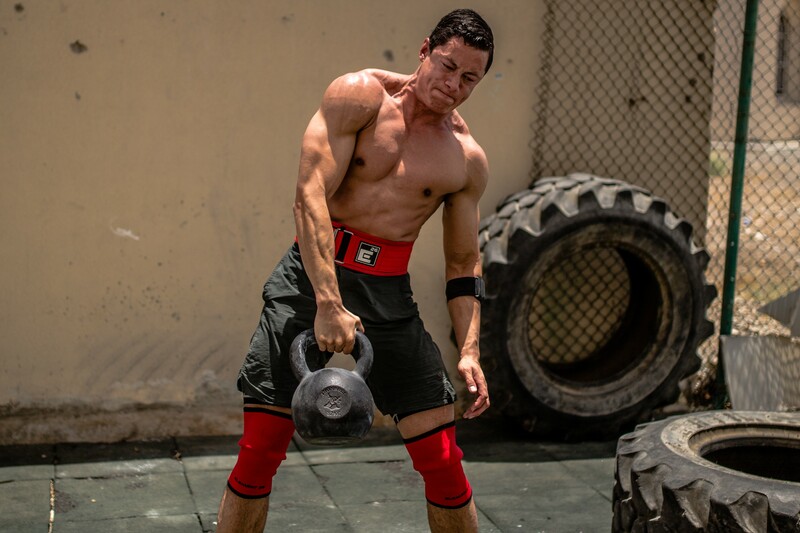 That took my wife and I to the Middle East where we partnered with a CrossFit gym to continue impacting lives, trying to educate and influence those around us on how to maximize their lives in a healthy manner as opposed to how I had lived those Army years and how we often see CrossFit athletes constantly breaking themselves down day to day. About two years later, a military friend and co-owner of Element 26, Jason Franciosa, reached out to me seeking my partnership with the business. I jumped on the opportunity seeing it as a chance to multiply the impact I desired to see. We’re excited for the road ahead and for the influence Element 26 can have on so many lives!